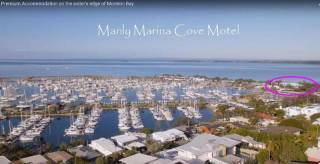 Our service apartments are only 200 metres to the Wynnum Esplanade. It is a short walk to the bay, parks, wading pool, children's playground, cafes, restaurants, pubs, shops, yachting clubs, marinas and close to public transport. Unit 5 is a ground floor 2 bedroom tiled apartment. This unit contains a combined living, kitchen and dining area, 2 bedrooms and a bathroom with shower. The living area opens up to a patio and private garden. Kitchen has a full size fridge, electric cooktop, oven, microwave and washing machine dryer combo. The Lounge room and both bedrooms are air-conditioned. Open Plan Kitchen with granite benches, quality stainless steel cookware, crockery & cutlery. Walking distance to water, shops and public transport. All linen provided. Weekly service clean including linen change. New Sealy Posturepedic beds have been put in all rooms to ensure a comfortable sleep. 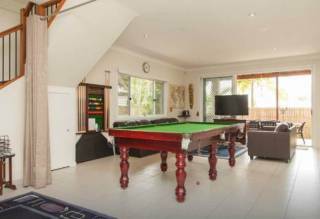 Wynnum Bayside Apartment is close to the Gateway, Port of Brisbane, Brisbane Airport, public transport and is a 40 minute drive or a 25 min train trip to the Brisbane City.